This Kyjen Slow Food Bowl was purchased for a one-year old Belgian Malinois (30Kg), who was swallowing his food in a matter of seconds. He had been throwing up from time to time within a few hours of ingesting his food and our vet suggested he was probably eating too fast. 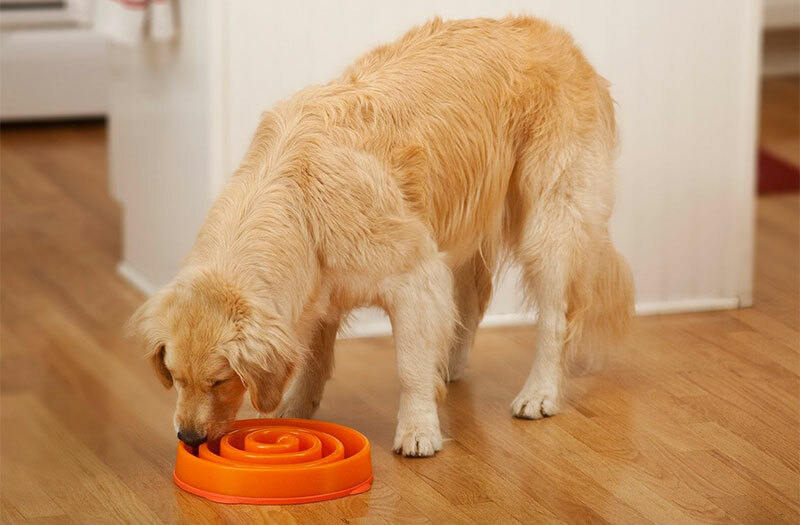 It is extremely important to slow down your dog’s food intake, especially for the larger, barrel-chested breeds, because eating too quickly can lead to many digestive problems, including choking, throwing up, obesity, canine bloat and poor absorption of nutrients. Many breeds are notoriously fast eaters sometimes beginning this habit of inhaling their food when they are just young puppies. If this is not curtailed, it can certainly lead to worrisome or even fatal health conditions. 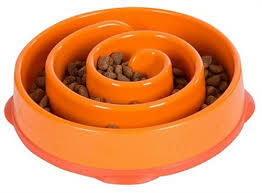 We discovered the Outward Hound Kyjen slow food bowls during our visit to the Dog Lovers Show Sydney and selected the orange maze model, which we were told, ranks medium in complexity. Our dog quickly learnt to “chase” his food through the maze of ridges and valleys, making his dinnertime feel more like a hunt and it now takes him 3 times as long to finish his meal. This product is sold through large pet retail stores and online and prices vary accordingly.